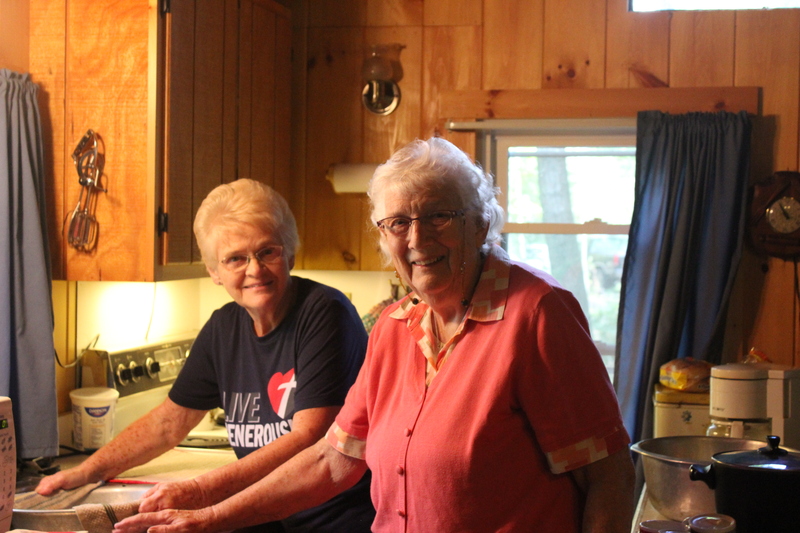 Each year, sister Cindy invites her other sisters to the cabin she and her husband own about 2 hours from home. We trek over the mountains, five in one car, with two days worth of food and luggage in the trunk. 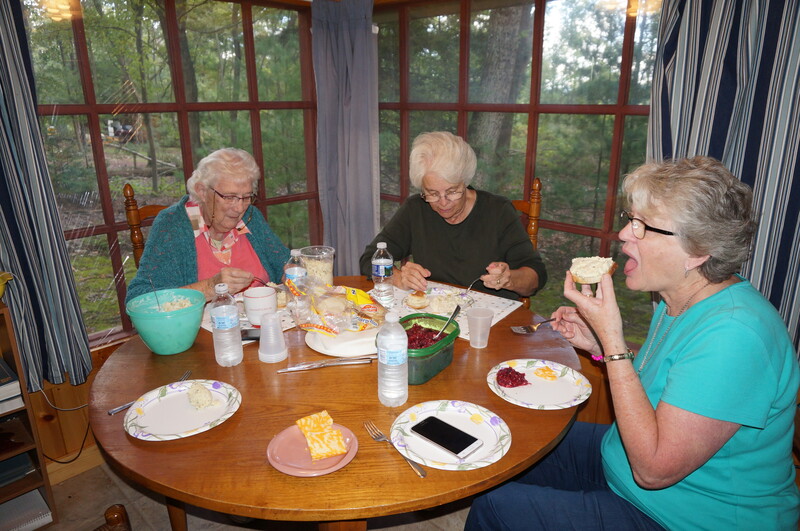 Sometimes we eat out, but this year we had so much food we ate in and took turns in the kitchen. Eating in, is half the fun! 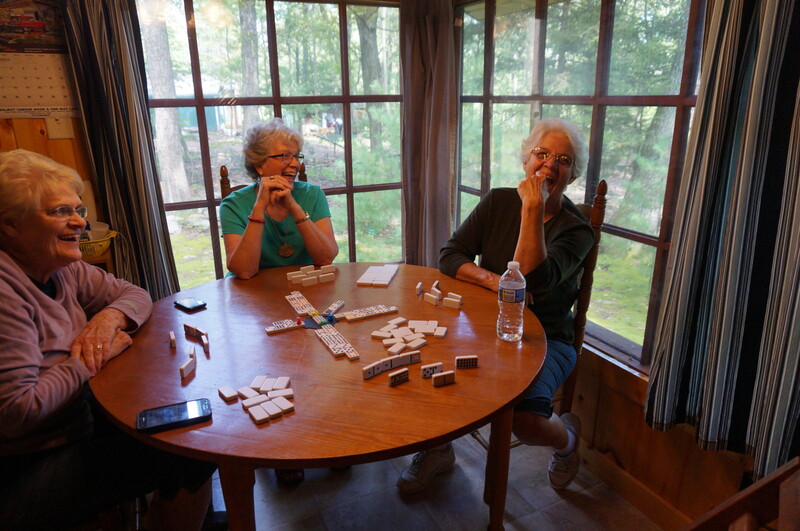 Playing Mexican Train or watching a chick flick wraps up a day that includes cooking, laughing, walking and just being together, away from the hustle and bustle of life. To add a little history and culture we also watched “Invictus” with Morgan Freeman. Each year we do different things to make our time together fun and memorable. One year we went to flea markets and yard sales. 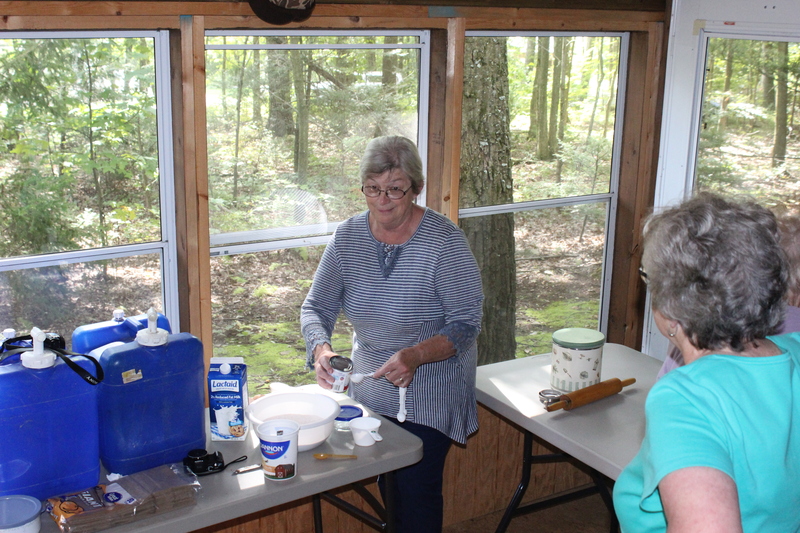 Then there was the year we toured historical sites in the area. Another time we visited a near by deer farm and the lady of the house made us the best chocolate cake ever and served us tea. This is how and where we recall many of those memories. So what to do this year? It was later in the year than when we usually go and cooler as well. 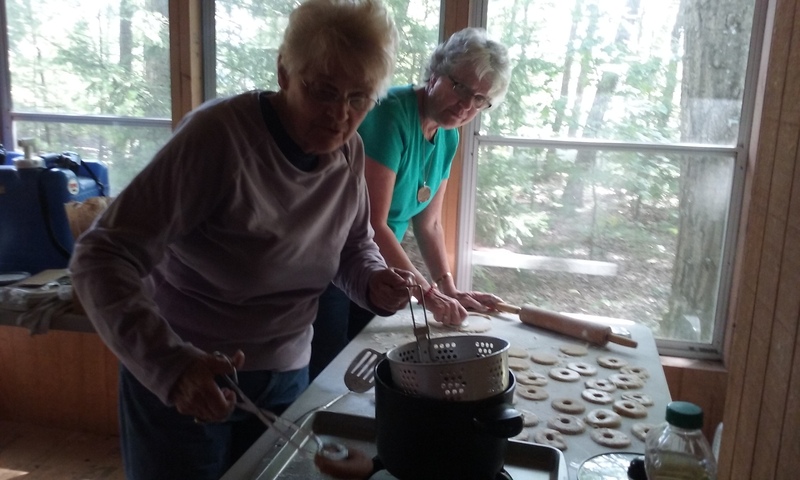 We got the bright idea to make a batch or two of our mothers recipe of deep fried cake donuts. It was very likely that no one had made them for over 20 years, but we could all remember the sweet nutmeg taste and, when coated with powdered sugar they were quite a treat. Cindy had the recipe, I had a deep fryer (of sorts) and the oil. 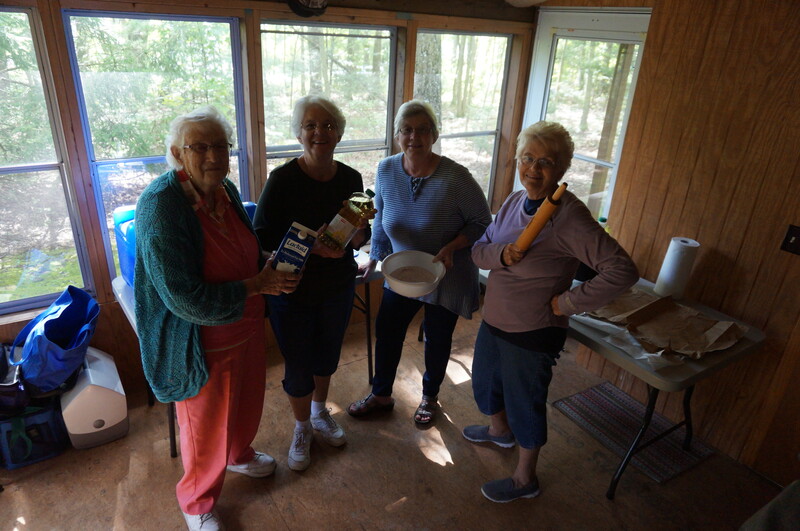 Someone remembered the rolling pin, and brown paper bags to drain them, once they came out of the grease. We were set up and ready to go!! 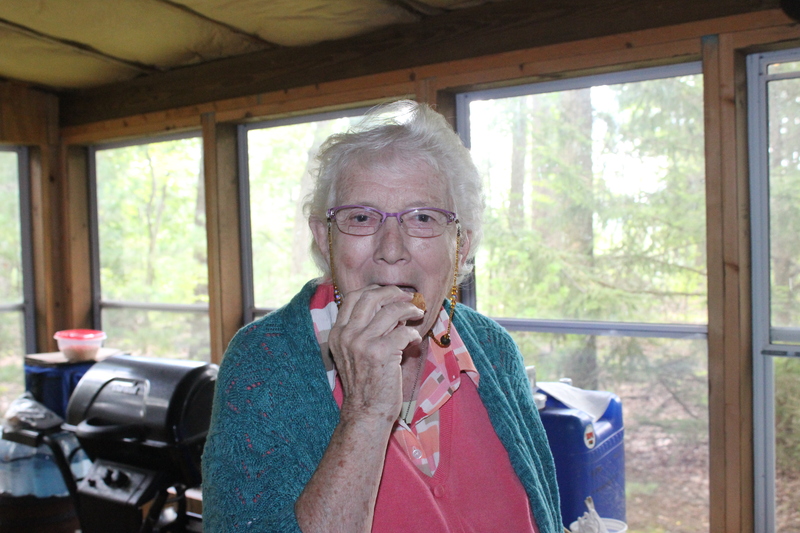 and Pat got the first bite. We made two batches and brought some home for our families. We learned a few things and feel we are in good shape to carry on this tradition. 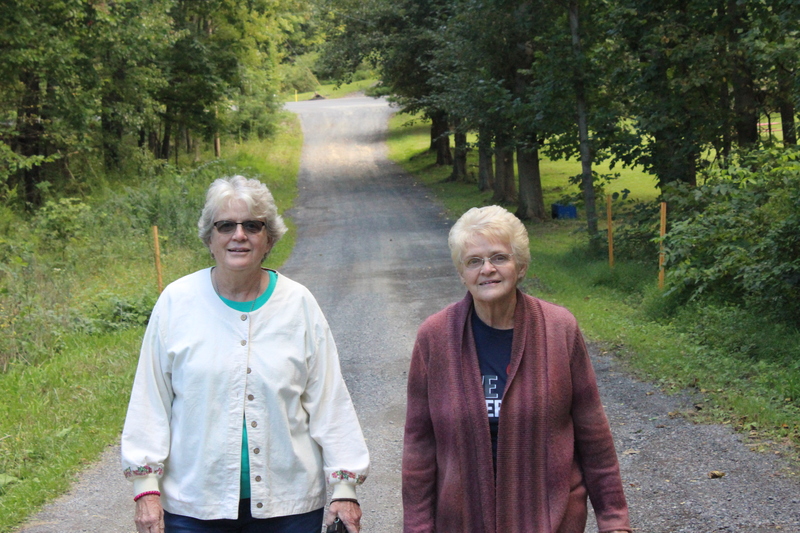 There was also time for walks and a shopping trip. 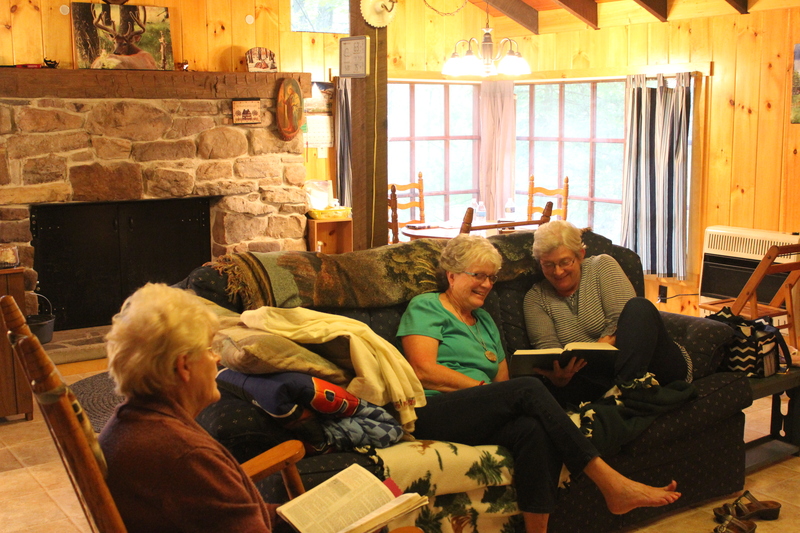 One of the best times we look forward to is reading scripture and having prayer time for our extended families. 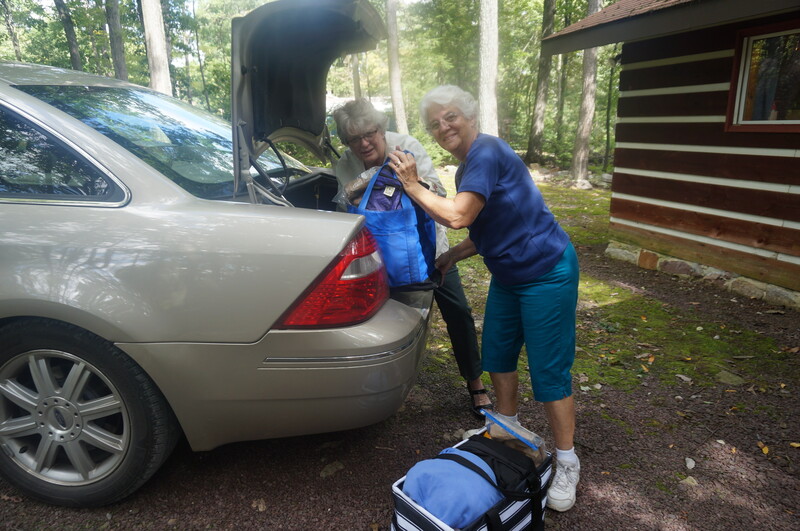 By the time we were ready to leave the serenity of this place, we realized some things had been added to the amount of stuff we had to take home, and “stuffing” the trunk was somewhat of a challenge, but it was met successfully. 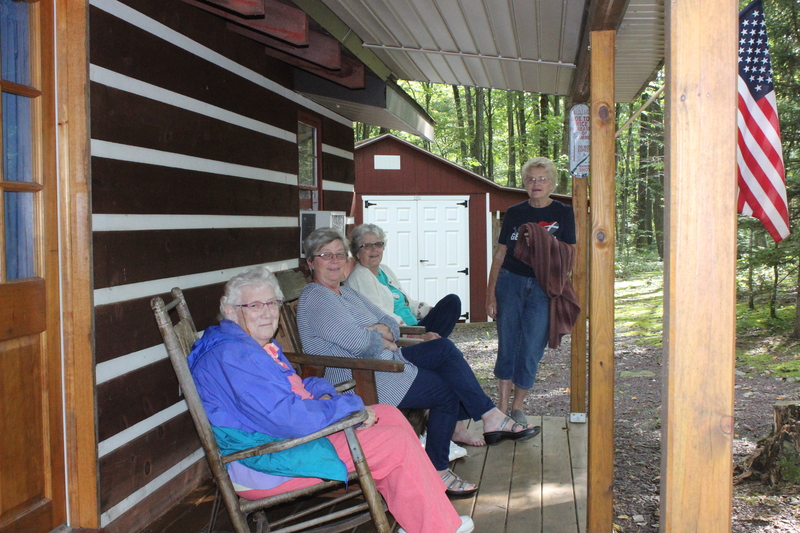 In a cabin in the woods with sisters; tasting memories, sharing stories and loving the time we took from our daily routines to get together. It’s good to do that in times like these. Visit my Amazon author page to find “A Wish Called Wanda” in print and Kindle. I am an experiential writer who loves to interact with nouns, ie people, places and things. Meeting people from different countries and cultures is high on my priority list. I long to see, sense, and experience places. I'm a spin the globe kind of a girl. Wherever my finger touches, as the globe comes to a stop, (hopefully on land) is a place I want to go. I like to interact with things such as touching history, smelling exotic aromas, and seeing rugged landscapes that are beyond my imagination. Where you never know what you'll find around the next bend.